In autumn, farmers and their livestock come back from the mountain pastures, where they passed the hot summer month. Down into the valley, they are welcomed with a traditional feast. 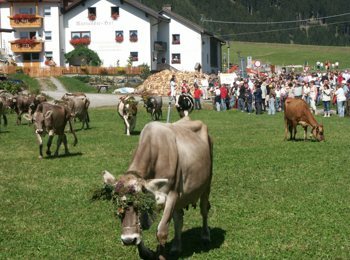 The late summer is the best moment to come to enjoy this beautiful place between the towns of Reschen, St. Valentin and Langtaufers. 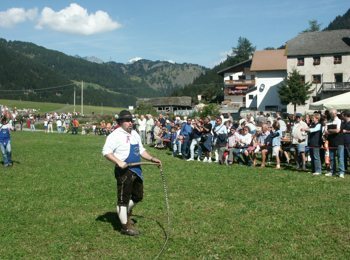 Every year, in autumn, an old traditional farmer celebration takes place. The homecoming of the livestock from the hill countries. 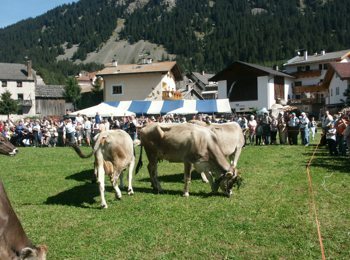 In this occasion, the farmers choose the best cow and the two strongest beasts to lead the parade. 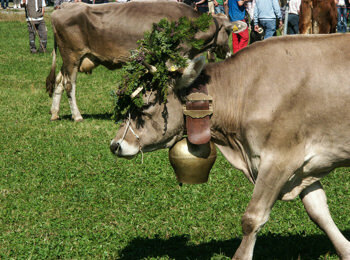 Music, tradition, nature, culture and good food. Don´t miss such a unique event between past and present!